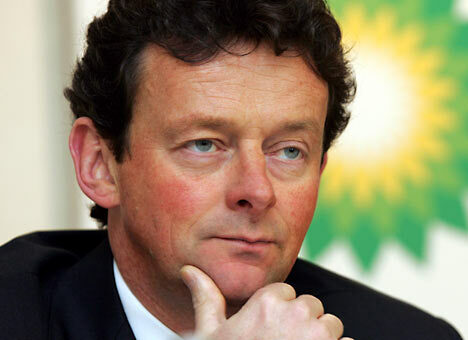 So at last Tony Hayward has admitted BP was ‘not prepared’ for the Gulf oil spill. In an interview for the BBC’s Money programme – his first since the disaster – the former oil company boss said BP wasn’t ready to deal with the fallout of the Deepwater Horizon explosion and the media “feeding frenzy” that followed it. Hayward said as the face of BP he had been “demonised and vilified”, but he understood why. Tony you could have saved yourself the time and expense of a degree in dramatic art and simply booked a couple of ACM Training’s media, crisis communications and emergency planning courses. They’d have set you back £99 per person or £999 per workshop but think how much you might have saved? The debacle is estimated to have cost BP £30 billion – of which a significant chunk was knocked off the company’s share price simply because of the spectacularly bad PR. In just one day we could have helped you gaze at the “disaster horizon” and see (without yet another degree – this one in clairvoyance) which direction the Four Horsemen of the Apocalypse might be coming from. Then armed with the certain knowledge that if you drill for oil one day that oil is going to get spilt we’d have helped you draw up a very simple media plan complete with a number of straightforward, credible and punchy key messages that even a geologist could deliver. Sorry for the sarcastic tone Tone but I still cannot quite grasp the fact that a company the size of BP should have been so useless in PR and media terms. There are small business across Britain bp than BP (better prepared than BP). So if you’re reading this Tony give me a call or drop me a line and avoid another costly mistake in future. And if you’re not Tony Hayward but would like to know how we can help you and your organisation deal with the media in a crisis then why not come along to one of our public crisis communications workshops or book us to deliver crisis comms training in-house? Previous post: IS NAD BAD OR MAD?